How Can Aluminum Louvers Benefit You? 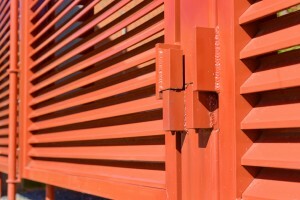 Are aluminum louvers right for you and your business? Take a look at some of the benefits. Louvers are becoming increasingly popular among commercial businesses, especially aluminum louvers. Fencing is a fine option for your property, but there are more added benefits you get from louvers that fences just cannot provide you with. You need to go with what will best protect your property and then some. However, if for whatever reason you find yourself on the fence with whether or not to pursue having aluminum louvers, take a look at the benefits they can provide you with and you will understand just how great aluminum louvers are. Pollution is detrimental to the planet and it is all so important to take measures to do whatever it takes to help the environment and be eco-friendly. One way to do that is by investing in aluminum louvers, which are environmentally friendly. Since they are entirely made of aluminum, they are made out of recyclable materials that were utilized for a better need, rather than being sent to a landfill or garbage dump. Aluminum louvers are great to have because they require so little attention. Since they are made out of aluminum, you will not have to worry about the chance that they rust or fade, so you will never have to be on the lookout and maintain them for that. There is also no need to be concerned about their fragility because of how durable they are. It can withstand whatever kind of weather the environment throws at it, including rain, snow, and the roughest of winds. Their strength is truly outstanding when considering their low weight. Another outstanding aspect of aluminum louvers that you cannot get as well elsewhere is their customizability. Whatever you need or desire from your aluminum louvers, you will be guaranteed to get it. The material’s flexibility is a large part of where they get their high levels of customization from, and can be as long or high as need be. They can also easily be built on any kind of terrain they may need be, whether it be grass or concrete. There is no dollar amount that can be valued for a sense of security, which is what you will get if you install aluminum louvers. They are safer than fences and provide your property with an extra security measure from potential thieves. Their weight makes it difficult for them to be broken, while their design makes it even more difficult to successfully scale. This entry was posted on Friday, March 30th, 2018	at 3:28 pm	. You can follow any responses to this entry through the RSS 2.0 feed. Both comments and pings are currently closed.